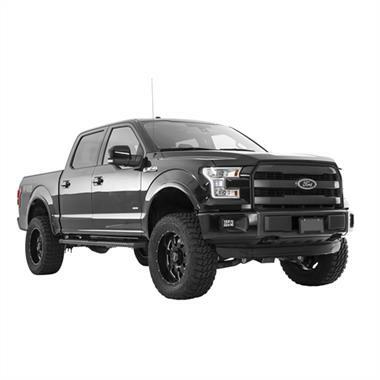 The Trail Master 6″ lift for 2015-Current Ford F-150 pickups easily clears 35X12:50 tires and provides exceptional value at an unbelievable price. 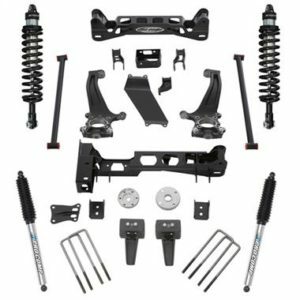 Heavy-duty steel front strut spacers provide a full 6″ of lift, and CNC machined cast ductile steering knuckles ensure proper steering geometry and alignment. 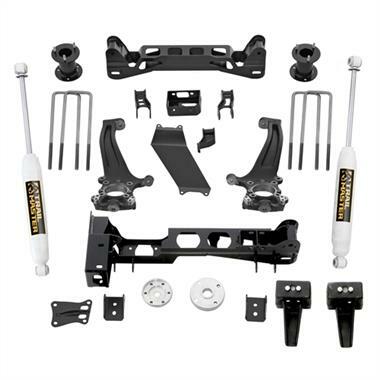 Front and rear high clearance crossmembers, a differential skid plate and robust differential mounts keep the front diff in place and vibration free without increasing the front track width. 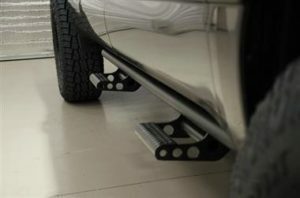 5″ rear lift is achieved via a cast rear lift block that maintains the OE-style bump pad to ensure proper operation while towing, offroading or during daily commutes. 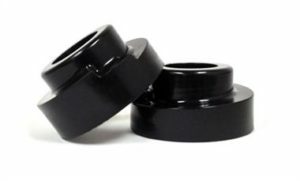 Trail Master Nitrogen Charged Gas (NGS) shocks are provided for the rear and driveshaft spacers are included along with easy to follow instructions. Get the look you want and the ride you deserve with Trail Master.